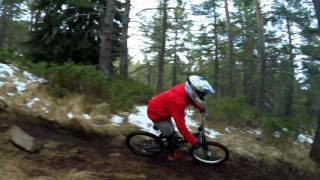 One day mountain bike trip in the scenic wildеrness of Vitosha Mountain. Cross country, enduro, downhill – there are trails and routes for every style and taste. Being one of the most ridden MTB destinations in Bulgaria, Vitosha offers great terrain and natural beauties. Just let us know your style and biking preferences and we will choose the most appropriate route for you. We can use the chair lift and do various descents or climb up the top of the mountain and ride one long, epic and challenging descent. Vitosha is the most accessible mountain in Bulgaria. Located just 30 min from the capital of Bulgaria – Sofia, it offers a unique adventure terrain. Mountain biking is one of the main activities practiced on its territory with well developed trails, lift and a wide range of opportunities to suit all levels of riders. Read more about the unique nature of Vitosha mountain.